Join us Saturday, September 17 at 8:00 a.m. for a fun run with Brooks! As always we will have three running routes available for participants with maps and direction sheets available. There is a 1.8 mile route, a 3 mile route, and a 4.6 mile route option for runners and walkers to do. The fun run will start at 8:00 a.m. that morning, sign in will open at 7:45 a.m. This event is free and there is no registration necessary to participate! Upon completing the run, we will announce raffle winners, have breakfast, and socialize with other runners and walkers. 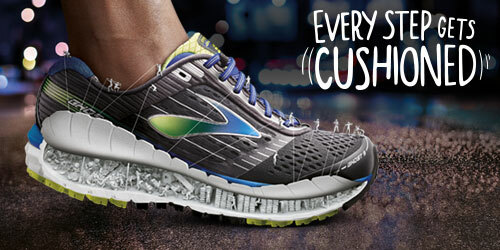 That day, Brooks will have the Ghost 9 for us to run in! Named Best Buy in the Runner's World 2016 Fall Shoe Guide. With a new plush interior and refined mesh upper, the latest Ghost 9 running shoes deliver the same smooth ride and balanced feel you love, but with a more seamless fit so it feels lighter than ever before.